Potential crop paddocks for winter 2020 for each farmlet have been identified and will be soil tested to determine the ones most suitable for crop next year. This will allow time for any nutrient deficiencies to be addressed before planting. Each farmlet has a split of crop paddocks between the top and bottom terraces to minimise risk and half are first year and half second year paddocks to minimise the area out of grazing in late spring. Growth on the LI farmlets exceeded demand with many of their paddocks sitting above the target line on the wedge. Residuals will be monitored and if necessary paddocks identified for conservation. During the farmwalk this week the team noticed white pigmentation on the outer edges of the clover leaves. 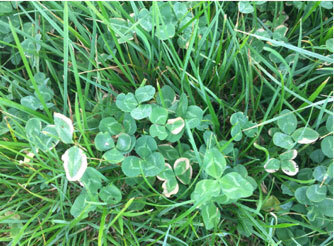 Samples will be taken early next week and send off for trace element and mineral determination in the clover. 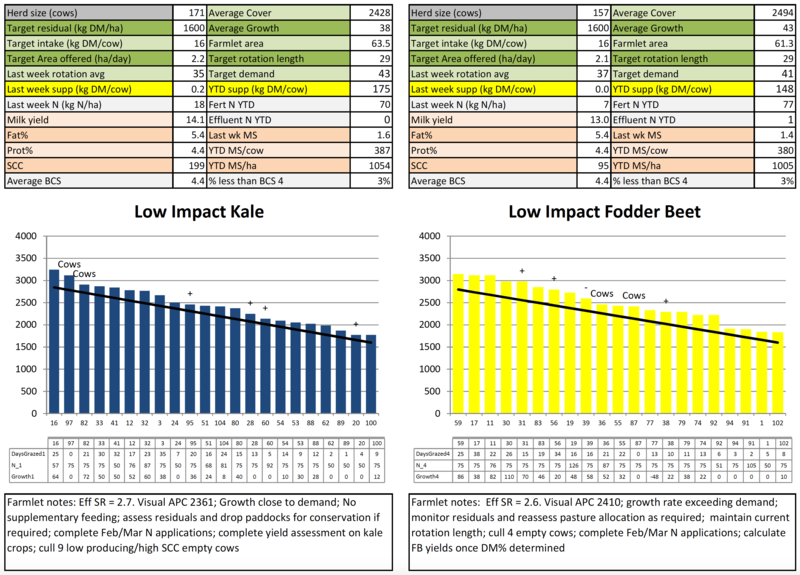 Discussions with our Ravensdown rep suggest it could be a potassium (K) deficiency as no K fertiliser has been applied this season; However, we will do the analysis and develop an action plan based on the results. The winter crop allocation calculator https://www.dairynz.co.nz/feed/feed-management-tools/ is being used to guide the set up each paddock for grazing – it allows us to estimate the number of days grazing per paddock for each mob, the baleage spacing and how many bales we need. Each herd will be wintered in 2 mobs – one of R2s, R3’s and light mixed age cows and the second of the rest of the MA cows. 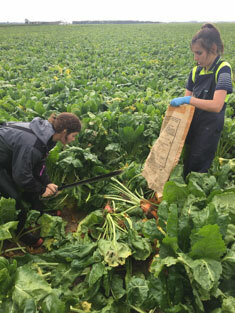 Planning is well underway for managing BCS targets during autumn and winter. BCS and calving date triggers are currently being developed for R3’s and mixed aged cows to determine when they are put onto OAD or dried off https://www.dairynz.co.nz/animal/body-condition-scoring/bcs-strategies/ . We have been approached by a neighbour wanting to bring trees they are harvesting through the farm as it is their only option of getting them out of where they are growing. We are working through the implications of this for the research and our grazing plans. SCC has crept up for all herds this week. High SCC empty cows have been identified for the first round of culling. From the weighing last week, the average weight gain across all calves for the last month was 0.6 kg/day. The biggest individual gain of 1.3 kg/day was observed in the mob of calves receiving grain. Grain feeding has stopped and the mobs resorted into two similar sized mobs with the smaller calves in one and the larger calves in the other. 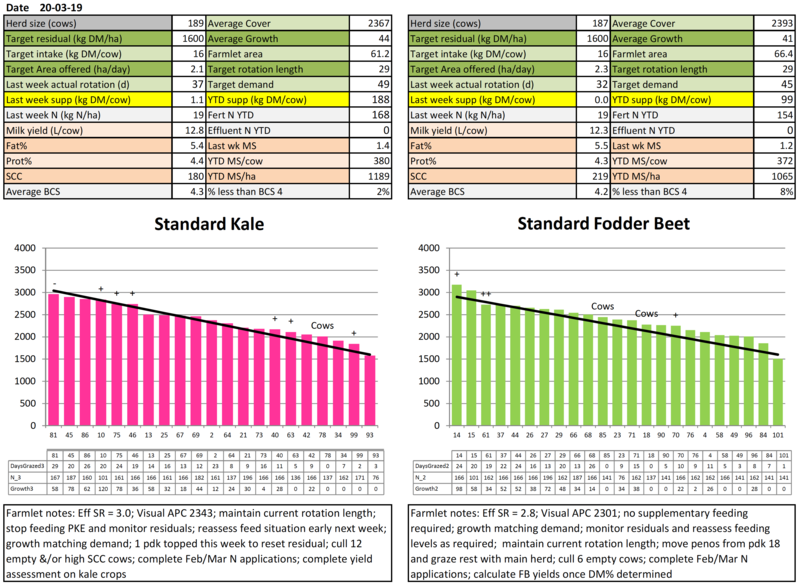 Both groups are balanced as close as possible for kale and fodder beet replacements. Liver biopsies on the cows have been discussed with the vets and these will be scheduled for mid-April. The farmer reference group met this week and we had a good discussion on P supplementation for our fodder beet herds, drying over average pasture covers and strategies to milk as many cows into May. Developing OAD and dry off BCS triggers to maximise the number of animals we keep milking while still achieving BCS and pasture cover targets. The SDH board were on site mid-week checking out the new infrastructure – our chairlift platform into the centre of the platform for herd testing, the riparian plantings and the new handling yards at the support block. On Monday the DairyNZ Southland and South Otago team were on farm planting around the creek as part of a World Water Day Activity. The four herds are split evenly on age, BW / PW, calving date and breed to ensure the herds are as even as possible. Each herd allocated a farmlet corresponding to their herd tag colour Green, Blue, Yellow and Pink. Farmlets have paddocks allocated so each herd has equal walking distance from the shed and the same proportion of each soil type and equal proportions of pastures in the FVI trial (forage value trial – refer web site section on research). Subscribe to our newsletter and stay up to date with our weekly notes, Field day notices and other updates.